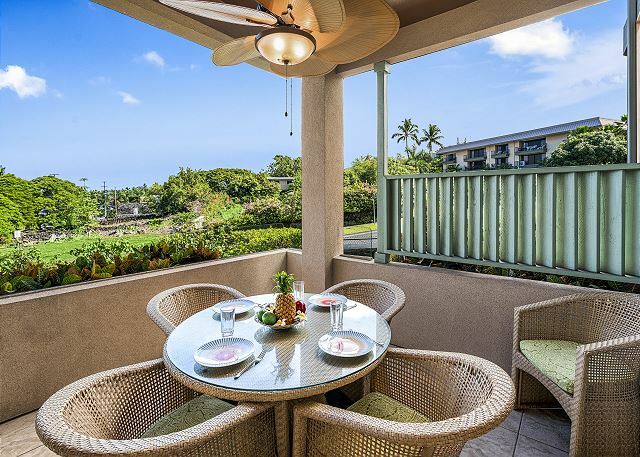 Family and friends will love staying at The Beach Villas at Kahalu'u. 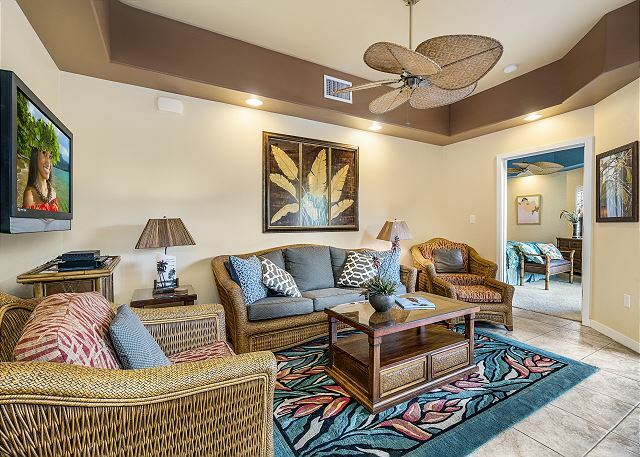 This 2 bedroom/2 bathroom vacation home features an ocean view and can comfortably accommodate up to 4 guests. 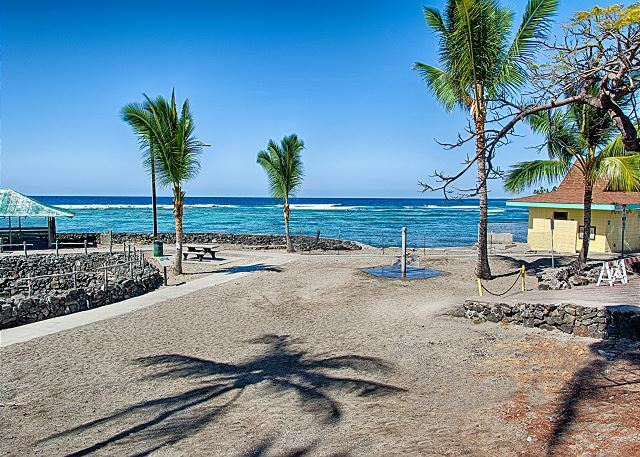 The vacation rental is just steps away from famed Kahalu'u Beach Park - considered by many to be the best snorkeling spot in Hawaii. Fed by fresh spring water, up to 10 million gallons per day, these waters are almost always calm, with colorful corals, rock formations, and 100+ species of fish. 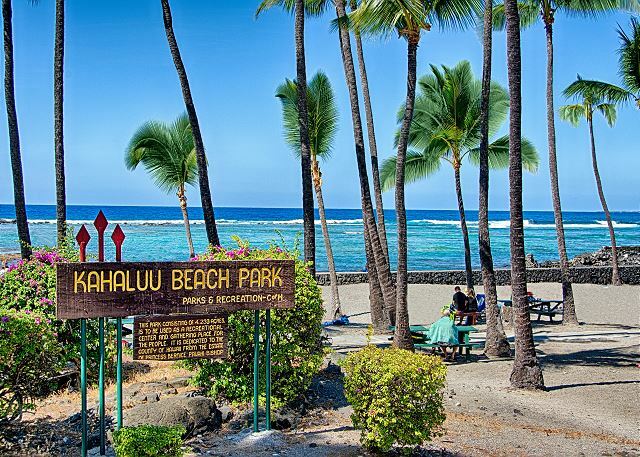 Swim with schools of vibrant fish and green sea turtles in these protected waters; don't forget your underwater camera! The north end of the beach where the waves break and is best for body boarding and surfing. There is also a pavilion, rest rooms, showers, a lifeguard tower, concession stands, and a beach rental gear store. 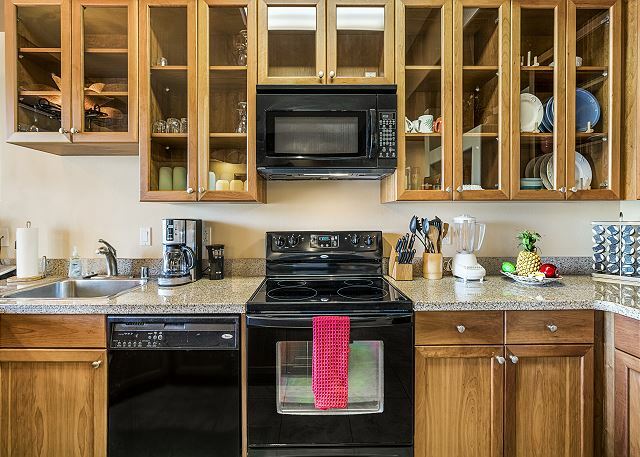 Enter inside the home to find a fully-equipped kitchen on your right. 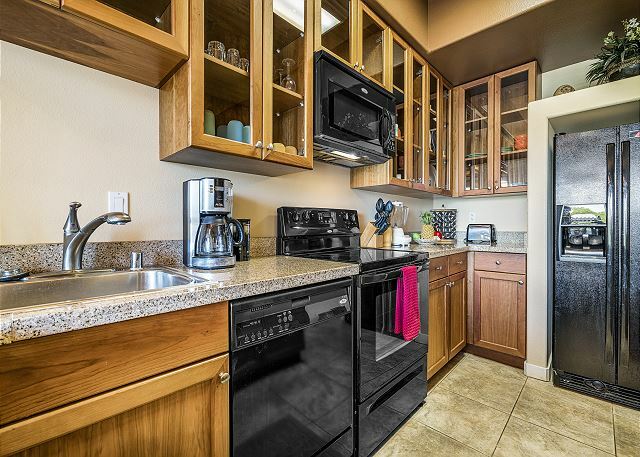 Granite countertops and upgraded black appliances are prepared to help you whip up your favorite meal. Three seats are placed at the built-in breakfast bar creating dining space and a handy way for guests to keep a conversation going with the chef. 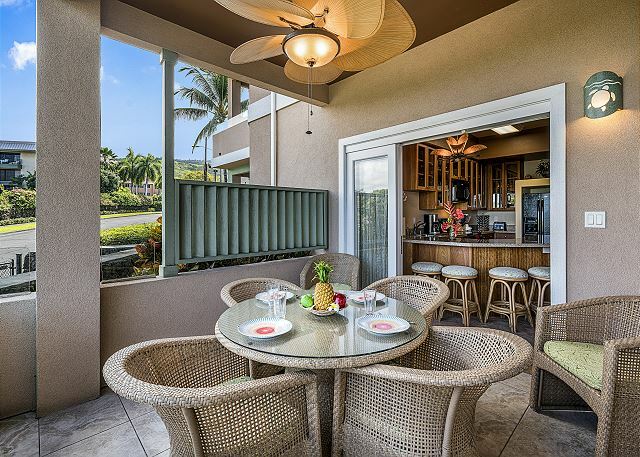 If you prefer dining alfresco, step outside onto the private lanai. 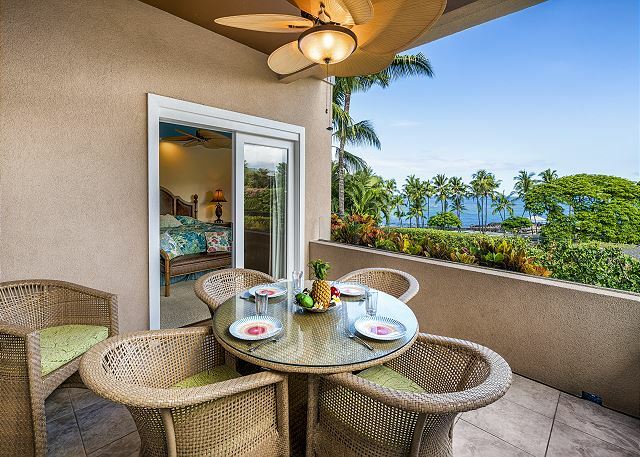 The lanai has a patio table and chairs overlooking the ocean. 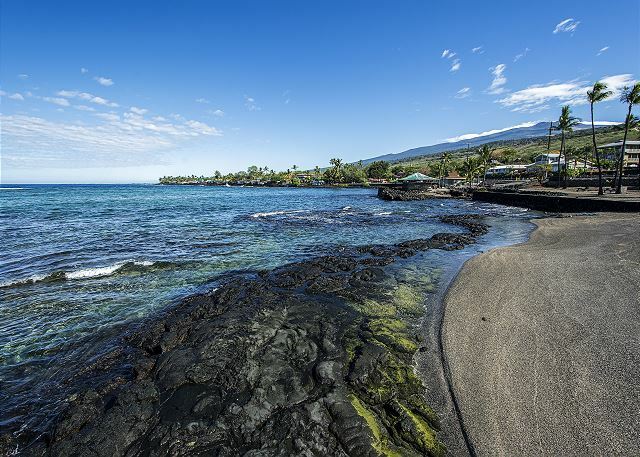 Dine, drink, and unwind while you watch breathtaking sunsets over the Kona coast. An open floor plan connects the kitchen and living room. A variety of seating is provided so the whole family can relax while watching a movie on the mounted TV. The couch assembles into a sofa bed for additional space. 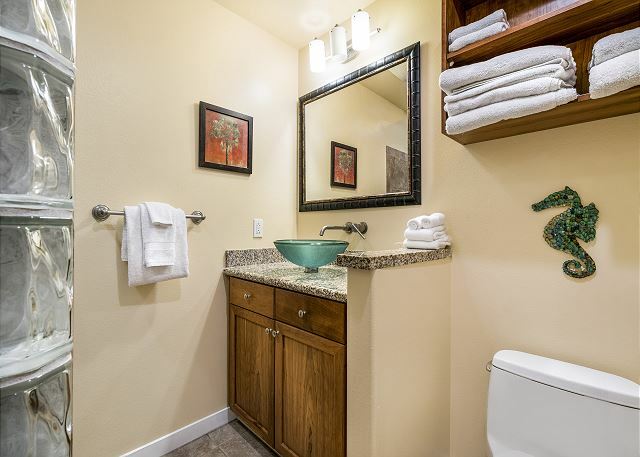 A guest bathroom is also right around the corner with a shower and spacious vanity. 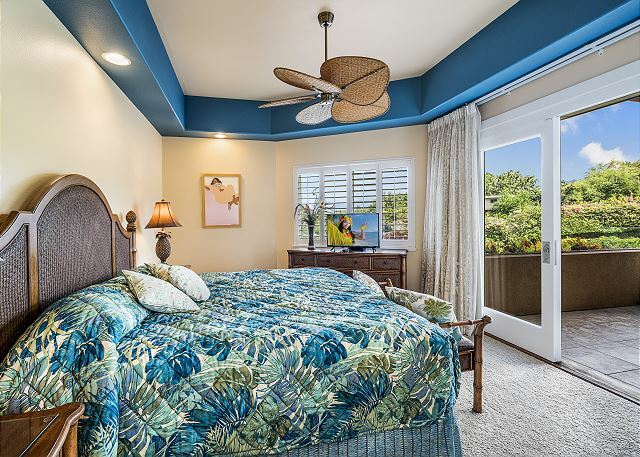 The master bedroom is on the opposite side of the home with a luxurious King-sized bed, ceiling fan, TV, and doors to the lanai. 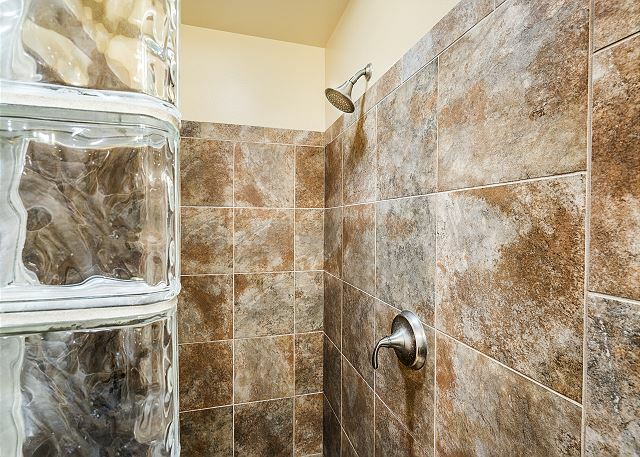 An attached master bathroom has a shower and large vanity. 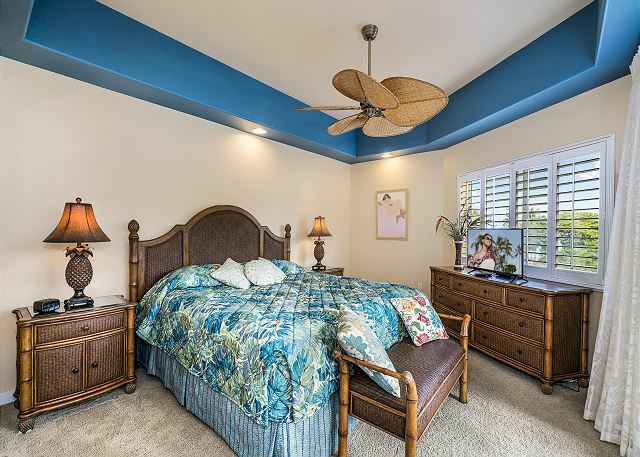 The guest bedroom can be found near the front of the home. 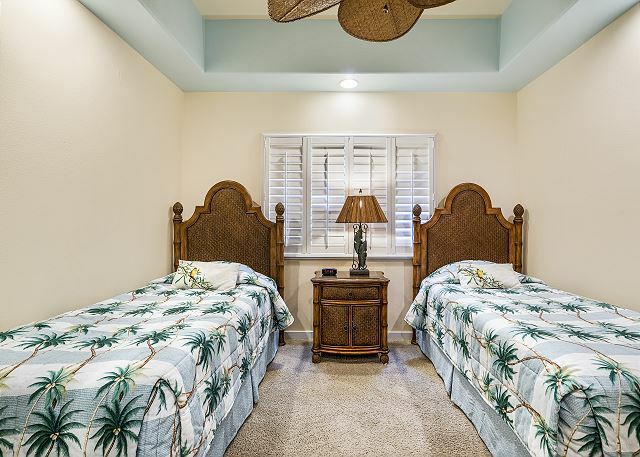 The bedroom is suitable if you are traveling with any kids as it is furnished with two Twin-sized beds, ceiling fan, and TV. Central A/C will keep you cool. The Beach Villas is large, luxurious, designer decorated and has all the amenities you desire. 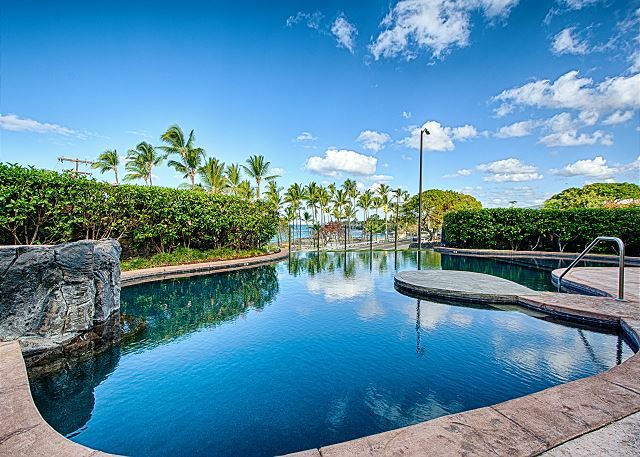 There is an infinity pool, spa, gas barbecue, central air conditioning, washer/dryer, plasma TV, Bose surround sound, and free long-distance telephone service to name a few. 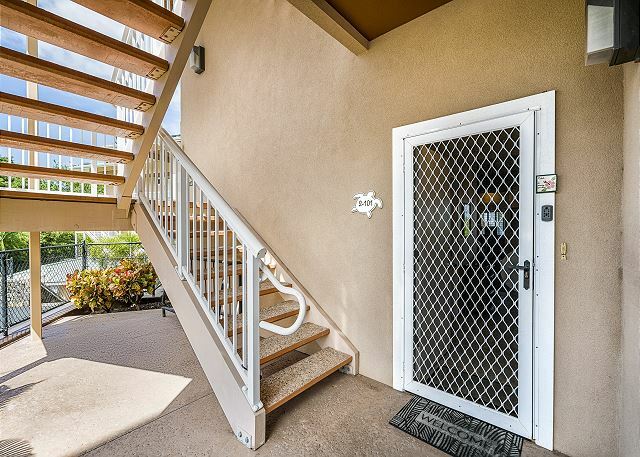 If you are looking for access to beach with all the modern conveniences of home, look no further you have found the ultimate vacation destination. 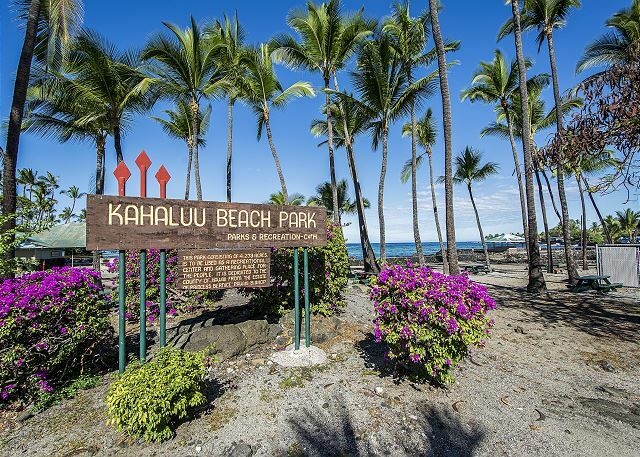 Beach Villas at Kahalu'u is conveniently located, a great home base to explore the many wonders of the Big Island of Hawaii including the Volcano National Park, Mauna Kea Observatory, coffee and macadamia nut farms, artist communities, and more! 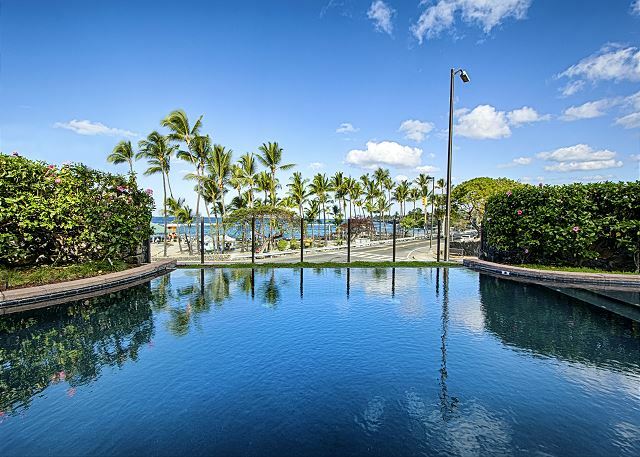 Mahalo nui loa, for your 5 star review of your stay. We very much hope you return, and please do contact our attentive property manager for our coveted repeat visitor rates which are the best you can access. 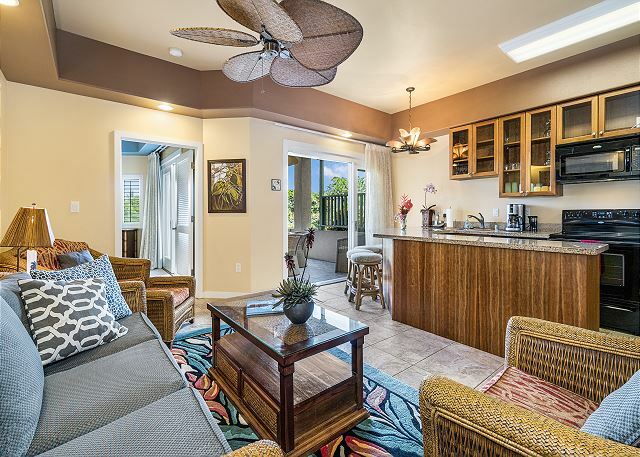 Nice unit layout, good view from lanai. Furniture a little dated and bedroom carpet worn. 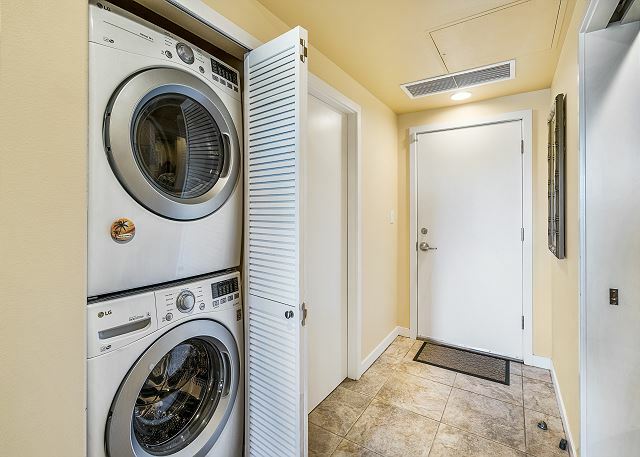 We’ll equipped, nice washer/dryer. Beach park across street mostly closed and being worked on. About 15 minutes from Kona town. 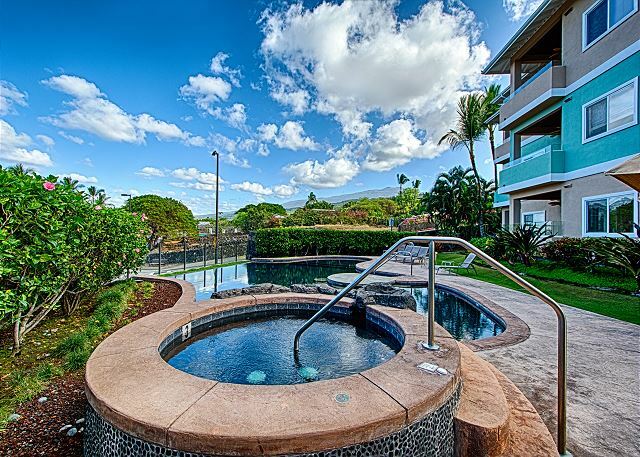 Thank you for your review of Beach Villas at Kahalu'u 2-101 and found the unit to be well equipped. We sincerely hope you return, and please do contact our property manager for our repeat visitor rates. 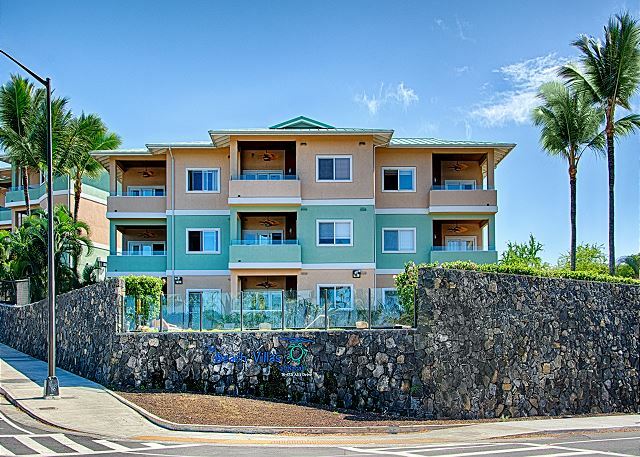 This condo was in a great location across from a snorkeling spot. The pool and hot tub were great. 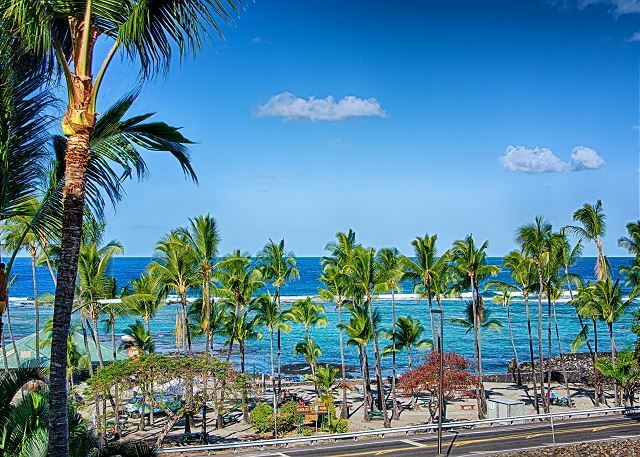 Working with Boundless Hawaii was seamless - they were helpful - like letting me send baby formula to their office or having someone come right away when the screen door lock didn't work. I would recommend staying here. 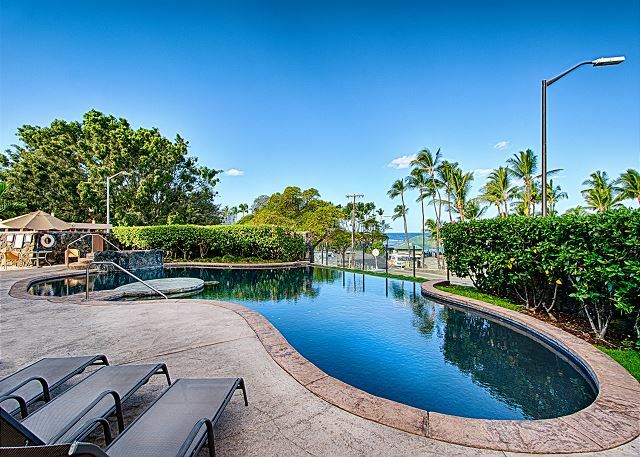 Watching people surf on your lanai while drinking coffee -not much better than that.